Maddie is going Mad for Yalumba Organic, Barossa, Shiraz this October! Taste a glass of South Australia with a palate of red fruits and spice, lingering flavours of plum and cherry topped with a savoury and persistent finish. Grab your friends and try this before indulging in a October Fest Mad Board! 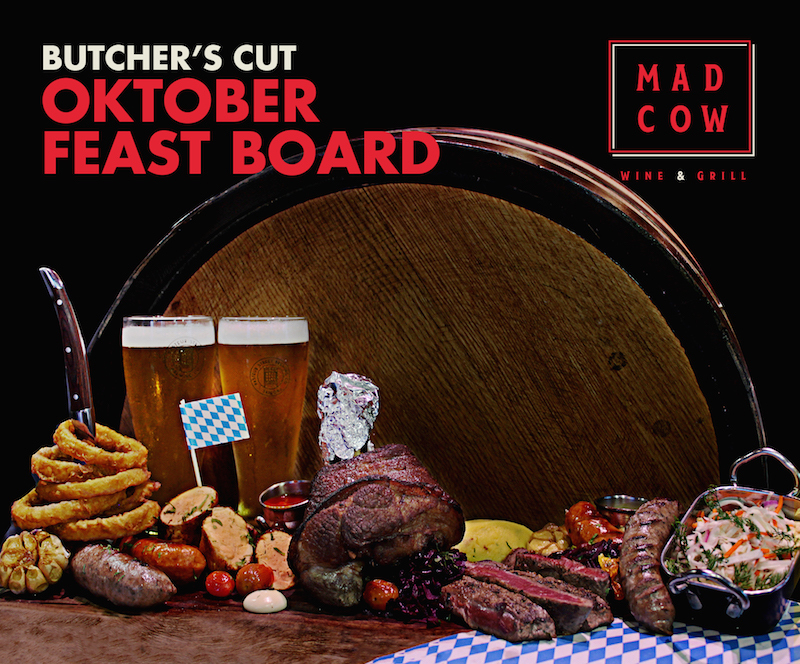 Maddie and the Gang are going Mad for an Oktober Feast Mad Board! Dig into a feast of rosemary lamb sausage, German sausage, ham rock, black angus beef, and chicken roulade. Served with onion rings, coleslaw, red cabbage, honey mustard and BBQ sauce, make your dinner this month an Oktober FEAST at Mad Cow Wine & Grill! The rooftop bar resides on the 31st floor featuring a laid back, comfortable atmosphere to make the most of your night out in Saigon. 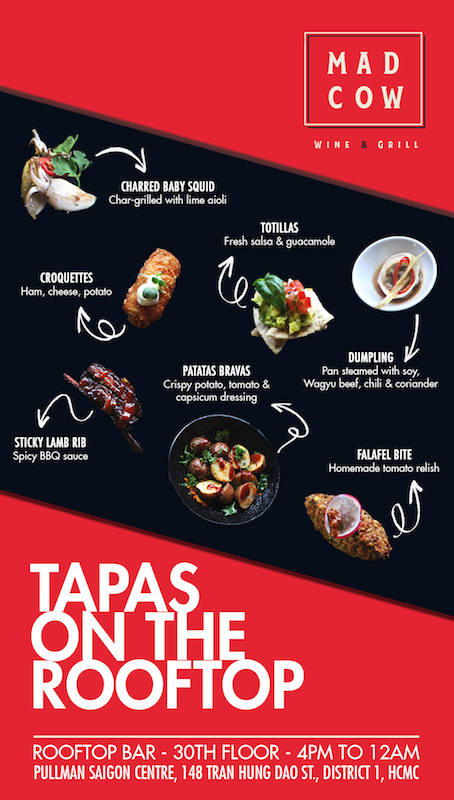 It’s perfect for pre and post-dinner drinks offering several choices from our tapas menu including 50 references of wine, beers and signature cocktails. Add some spooky Madness to your after work cocktails at the Rooftop Bar! 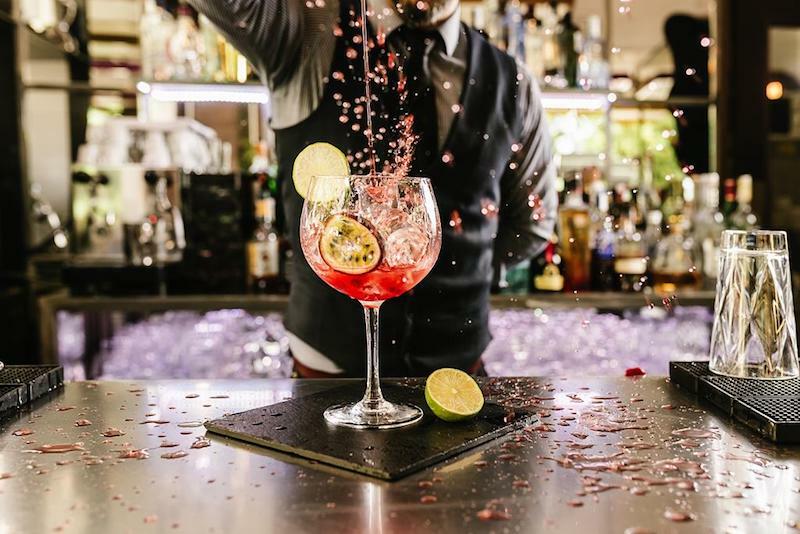 Try special Mad Cranny potion made with cranberry, lime basil, mint and Beefeater Gin or a special Witch’s Potion made with Earl Grey tea infused Absolute Vodka, lychee and lime. Get a little spooky and with Urbane Lounge this October and try a Monster Chicken Burger! Made with fried chicken breast, topped with baked beans, ricotta cheese and creepy black buns this is a tricky treat! Inspired from the art of Asian cuisine, Pullman created a place where traditional culture meets a modern tempo. 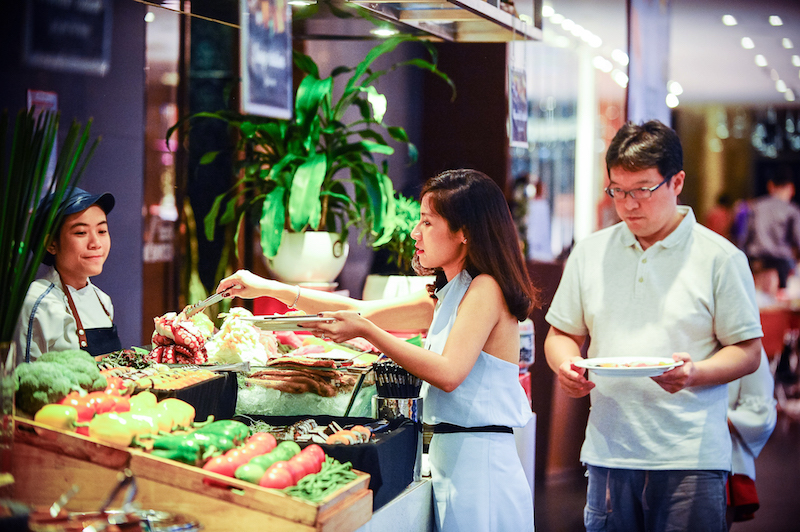 Our culinary experts will bring tastes & flavours from around this exotic continent to your plate!